UCAN offers English as a Second Language classes. The beginner-level classes provide instruction in conversational English. 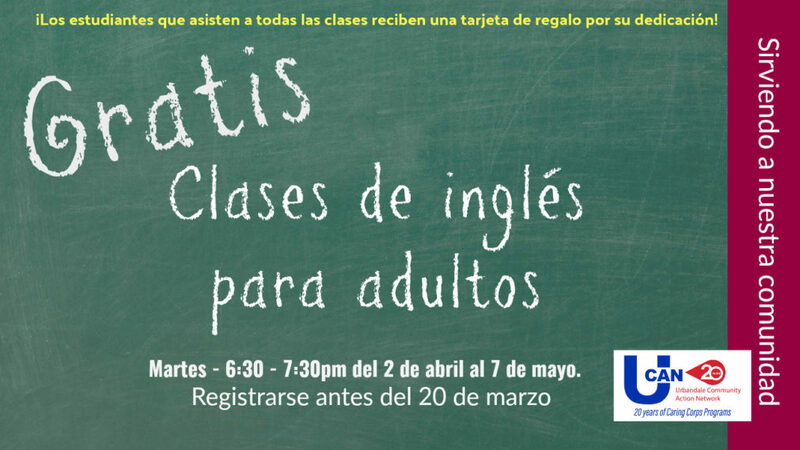 The next session of ESL Classes is scheduled for Tuesday evenings, April 2- May 7, 2019 at Karen Acres Elementary School. Please fill out the registration form below and return to the UCAN office by March 20th. Volunteers are needed to assist with childcare for the adult learners participating in the classes. Please email Info@UrbandaleNetwork.org if you’re interested in volunteering.